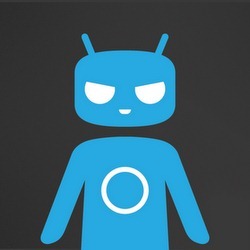 [Video] CM9 Finds Itself On The Nexus Q – CyanogenMod: "This Should Serve As An Indication Of Potential"
In a feat that, according to the CyanogenMod team, serves "as an indication of potential," Jason Parker (aka kornyone) has managed to boot CyanogenMod 9 on the Nexus Q. Starting with fastboot, adb pushing, and running "just about any sideloaded APK" (including XBMC), Parker has been pushing the Q's potential over the past week in an effort that has culminated in getting a CM9 build (based on the Tuna/Maguro repositories and prebuilt kernel) to run on the device. Not only does Parker have CM9 running on the Q, but he says that "overall it's functioning better than many devices I have ported on first boot." Parker also notes, however, that the build is "very much a work in progress." While Wi-Fi, Bluetooth, and "much else" works, sound is not yet functional and SystemUI experiences frequent crashes. The CyanogenMod team, when sharing Parker's post on Google+, was also quick to note that "this is purely in the 'what can be achieved' category, not in the 'we are supporting this' category. This post should serve as an indication of potential, not a final product (or even a goal really)."